Over the years, Lagos Mainland residents have witnessed the threats posed by various gangs who have dominated territories across communities and as well-formed a stronghold of forces where they strike fear into the minds of residents in their immediate surroundings. Residents have suffered mixed fates in the hands of these gangs as they often times wreak havoc to communities where people lose their lives and hard-earned properties during their attacks. Some of these gangs had spread their tentacles even to the riverine communities and places where residents barely knew they ever existed where they carefully plan their attacks on their targets. While the gallant security operatives continue to devise means to battle the gangs and ensure peace in these communities, the gangs have found ways to create new mode of operations as the security officers unravel one. This has continued for ages with some of the gangs and their leaders getting arrested and prosecuted in line with the provisions of the laws. To ensure Mainland residents are more conscious of their surroundings as well as protect themselves against these gangs who sometimes operate in a reckless manner during their attacks, the Eyes Of Lagos team with the support of top Police sources have investigated and discovered the deadly gangs on the Lagos Mainland and their territories they have massive control over. During the investigations which took months to complete, the team discovered the various cult gangs, militant groups including the street urchins that operates in the nooks and crannies of Lagos Mainland communities. The gangs were however mapped and classified into groups based on their areas (local government areas) of dominance to aid easy understanding by Mainlanders. In Ikorodu community, residents of the area had witnessed barbaric crimes perpetrated by faceless gangs such as Badoo assailants who have murdered more 250 persons since they began to strike in Ikorodu and environs. The gang members are fond of attacking their targets with pestles or grinding stones and allegedly use their blood for ritual purposes. In addition, cult confraternities such as Eiye, Aiye and Buccaneers also operate in the area not forgetting the militant group who once threatened the existence of members of the community. Residents of Somolu community have had to tolerate the excesses of Eiye cult group who are the leading perpetrator of the attacks in the community. Sometimes in 2017, the operatives of the Lagos State Police Command arrested a leading cult member identified popularly as Small JPron for most of the deadly attacks in the axis. Also, members of the National Union of Road Transport Workers (NURTW) also are part of the gangs who terrorize residents of the area. Like Somolu community, members of the NURTW also dominate the groups carrying u dadly attacks in areas such as Ketu, Owode, Mile 1 and other parts of Kosofe. Meanwhile, majority of the cult gangs in Lagos Mainland including the Eiye and Aiye gangs are also found in this part of the Mainland. In Agege, the worry of residents in the area is that of the teenage cult group comprising kids who are young enough and bubbling with lots of energy who attack with reckless abandon. This group, usually identified by their tattoos attack in numbers and they steal gadgets, monies and other valuables from their victims. They often times operate with broken bottles, knives and axes. Moreso, there is a neighbourhood in Agege community dominated by a group identified as Akerele Boys. InsideMainland learnt from sources that the area is dreaded by the Police and residents as some of the deadliest of crimes are carried out in that part of the Mainland. Furthermore, the Eiye cult gang also holds influence in a part of Agege where they dominate and carry out their attacks on their targets. Aside the Kosofe end of Lagos Mainland, Oshodi is the part of the state where the fearless NURTW gang operates. This is connected to the number of leading NURTW members who base is in this part of the state. In the last few years, this part of the state had witnessed clashes of factions in the NURTW which often lead to a bloodshed and loss of lives. Fresh in the memories of residents was the death of a lading NURTW member popularly known as Hamburger who was shot dead in his neighbourhood in Oshodi ahead of the last council polls in Lagos. Similarly, the Awawa group also operates in Oshodi due to the influx of people in the area and how well it connects with other communities on the Lagos Mainland. For residents in Ajeromi, they are faced with the attacks perpetrated by the group known as 1 million boys. These sets of boys usually rush into a marketplace or gathering of people where they rob their unsuspecting victims before disappearing from the area. The community also has rival gangs such as Eiye and Buccaneers who dominate various sections in the area. In Amuwo – Odofin, residents are familiar with the crises caused by gang members belonging to Eiye and Aiye groups while the militants also hold sway in the riverine areas in the area. The continuous attacks by the deadly gangs have sometimes led to the loss of lives and properties while some members of these gangs take opportunity of the clashes to rob unsuspecting victims of their valuables. While other parts of the Mainland have the presence of cult gangs, Eyes Of Lagos investigations revealed that the deadliest attacks ever witnessed in the Lagos Mainland local government area were carried out by gang members belonging to either the Kogbagidi Boys, Fagbayimu gang, or Otto Boys. Police sources told Eyes Of Lagos that various suspects arrested for different crimes have confessed to being part of these groups who have a stronghold on the Lagos Mainland community. The mention of Mushin alone strikes fear into even the bravest minds on the Lagos Mainland as a result of the heinous crimes perpetrated by some sects in the community. 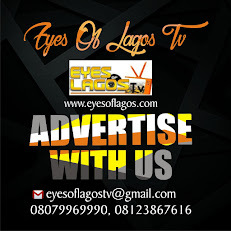 Eyes Of Lagos investigations revealed that there is a part of Mushin community known as ‘Empire’ which is mostly dominated by youths who are involved in drugs, alcoholism and other forms of crimes. While the Alamutu Boys dominate the area in terms of control and authority, cult gangs such as Eiye and Aiye group also control some parts of the neighbourhood where some of the deadly attacks on the Lagos Mainland are carried out. The Alimosho end of the Lagos Mainland is majorly controlled by the Eiye, Aiye and Buccaneers confraternities who have carved out parts of the community where they have their base. The community at intervals witness attacks by these groups who publicly show supremacy by ‘dropping’ their ‘targets’ to strike fear into the minds of their rival group and members of the community. In Ojo community, apart from the Aiye and Eiye cult group who dominate the area due to the presence of leading institutions such as the Lagos State University, LASU, Police sources told InsideMainland that highway robbers also terrorize residents and many others who ply the route to access their various destinations. Although street urchins, Union workers and other petty robbers also have presence in this part of the state, investigations showed that the deadliest of attacks are carried out by the cult gangs – Eye Aiye and Buccaneers. Some of the attacks and tussles caused by these groups also spill over to other parts of the Mainland due to the location as closeness to areas where the culprits usually hide from the preying eyes of the security operatives. According to Police sources, members of Badagry community have consistently expressed fear on the emergence of a group known popularly as ‘Shaku Shaku’ boys. “This group consists young boys who maim and steal from their suspects while inflicting injuries on those who dare to struggle with them,” a Police source said. The community also has the presence of Buccaneers and Eiye cult who control territories where people shiver mostly when they carry out their attacks. Although the capital of the State and a leading business hub on the Mainland, Ikeja is no free from the attacks and crimes perpetrated by these gangs. The leading gangs in Ikeja are the teenage Awawa Boys and the Eiye cult group investigations revealed. Like Ikeja, Agege, and Oshodi, the Awawa Boys group, Eiye and Aiye confraternities also have presence and authority in Ifako – Ijaiye. For residents of Apapa community, the gangs that wreak havoc and give them sleepless nights are the 1 million boys, Eiye and Aiye cult groups. These gangs have continued to dominate the community with majority of the deadly clashes often as a result of power tussle or battle for supremacy to drive fear into the rival groups.